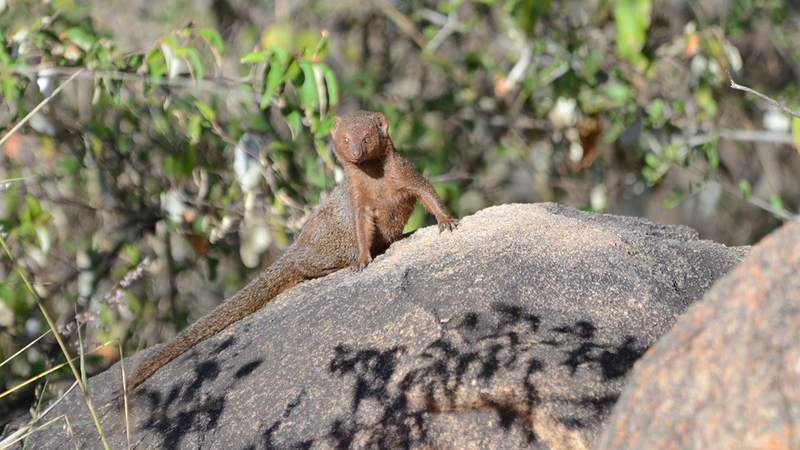 Small, svelte, and almost serpentine, the slender mongoose is appropriately named. Built for flexibility, strength, and the ability to climb and burrow, this type of mongoose is a successful—if diminutive—predator. 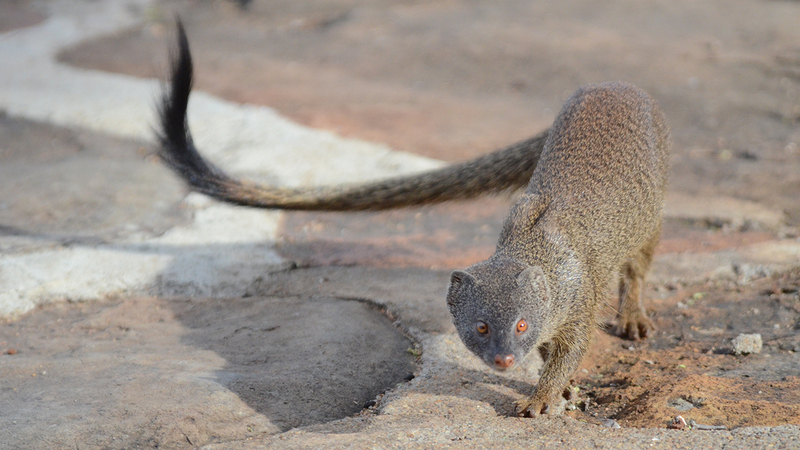 A slender mongoose might be seen with which animal? Even though raptors are their main predators, slender mongooses have been seen hunting alongside pale chanting goshawks and playing with hyraxes, antelopes, and monkeys. 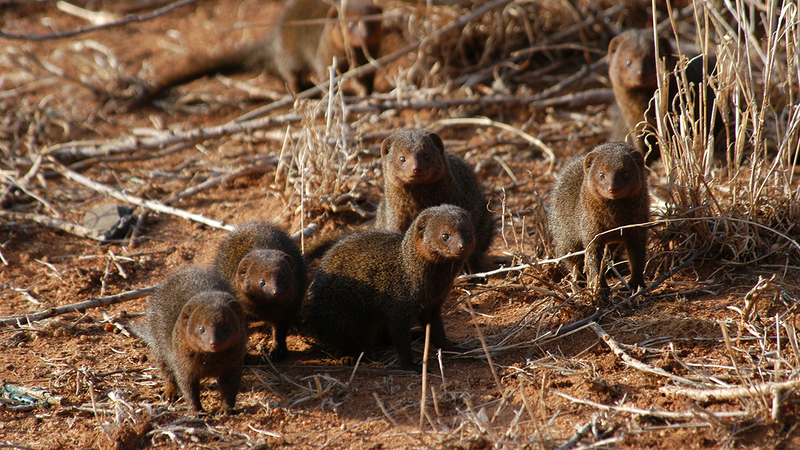 Predominantly solitary, slender mongooses come together mainly to breed. 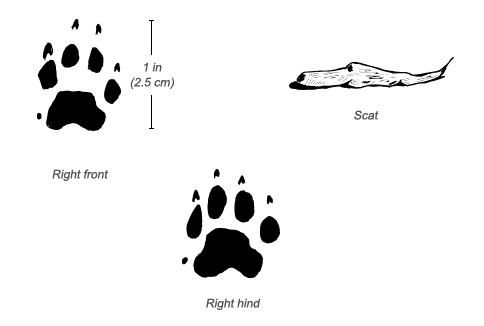 Males hold large territories that encompass several female territories. Males may associate peacefully with other males in their home range. Slender mongooses communicate through scent-marking and vocally with at least five calls. These include a “spitting” noise, a growl, a snarl, a buzz, and a huh-new call, which signals distress. Though they climb better than most other kinds of mongooses, they spend most of their time on the ground, navigating walls and fences. They take advantage of roads, traveling along them with their noses to the ground and the dark tips of their tails raised. 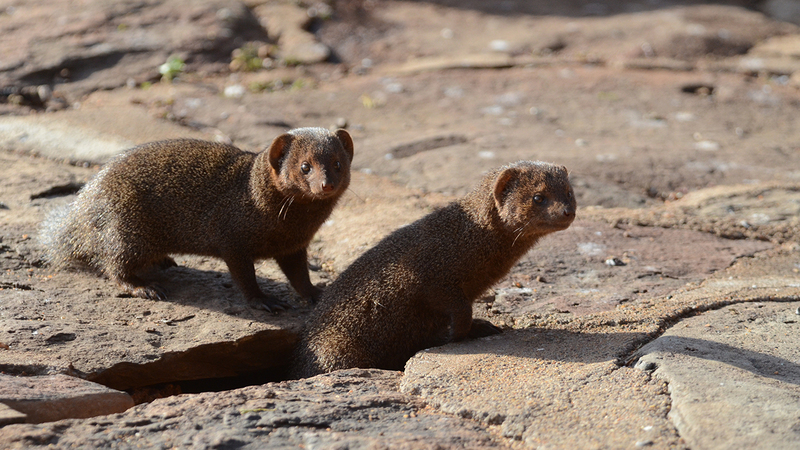 Slender mongooses sleep in dens at night and rest in them during the heat of the day. They usually don’t dig their own shelters, preferring to appropriate aardvark burrows, termite mounds, or the hollows under rock piles or tree roots. 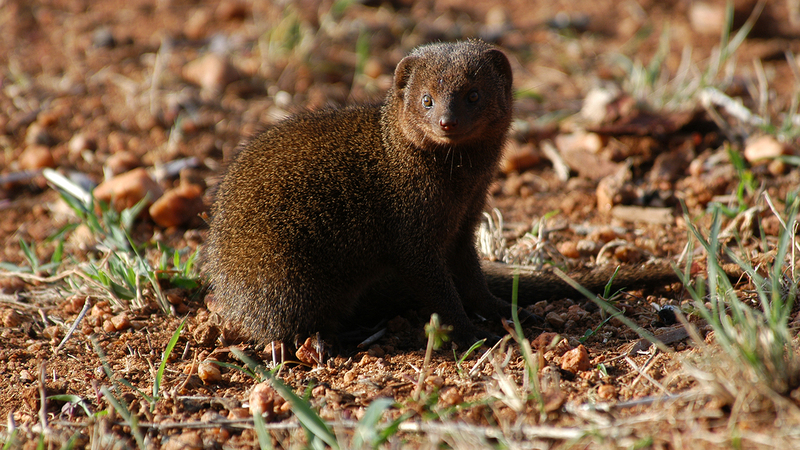 Slender mongoose populations are widespread and robust. These animals are used in traditional medicine and for bush meat, even though their meat has a strong, unpleasant odor. Slender mongooses are one of the most widespread mongoose species south of the Sahara. They range all across this region except in the deepest rain forests and South Africa. Slender mongooses can live most anywhere, from sea level to 8,900 feet (2,700 m) and from semi-desert landscapes to the fringes of forests. They are comfortable living along roads and around human villages. 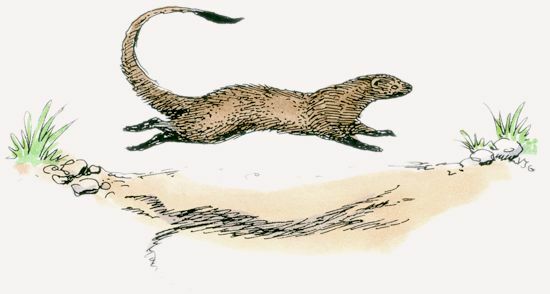 Silent and swift hunters, slender mongooses will eat anything they can catch, including insects, lizards, snakes, small mammals, carrion, and even birds (which they may hunt in trees). They also eat eggs, berries, and other fruit. Breeding occurs seasonally, with pups being born in the wet season. Gestation lasts 60 to 70 days, after which a litter of two to four pups is born. Females give birth in their dens and wean their pups when they are between seven and nine weeks old. Pups leave the den at the age of six months and are almost entirely grown after a year. Birds of prey are the slender mongooses biggest predator threat, though lions, leopards, and African wild dogs will also hunt them. Thousands of slender mongooses range across Africa. Many of them live in Kenya. Slender mongooses eat eggs by throwing them through their back legs at a rock or other hard object to break them open.